Prime Residential Development Land Facing The Sea. 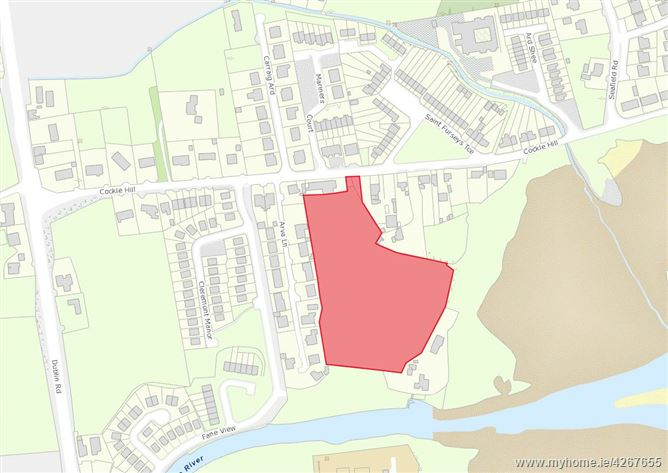 Extending to approximately 2.315 Hectares (5.72 acres) held under folio LH1612F, the lands have a majority flat topography with a central raised area, currently in grass with a boundary of mature hedging, trees and fencing. The lands are bordered by one off private residential houses and at its entrance The A.O.H. (Hibernian) Hall resides to the western section of the main opening to the lands. The lands have sea frontage of approximately 140 meters. We understand the land is held freehold. Interested parties are requested to satisfy themselves on the availability and adequacy of all services. 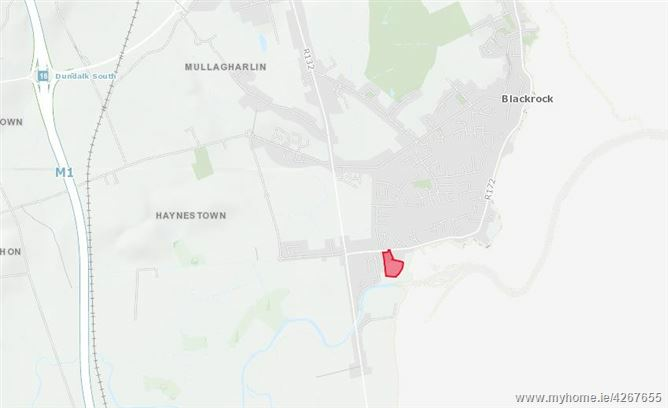 The land is zoned Residential 1, under the Louth County Development Plan 2015-2021. All intending purchasers are advised to satisfy themselves on the above details which are intended for information purposes only. Premier residential sea fronting development lands extending to site of approx. 2.315 Hectares (5.72 acres). 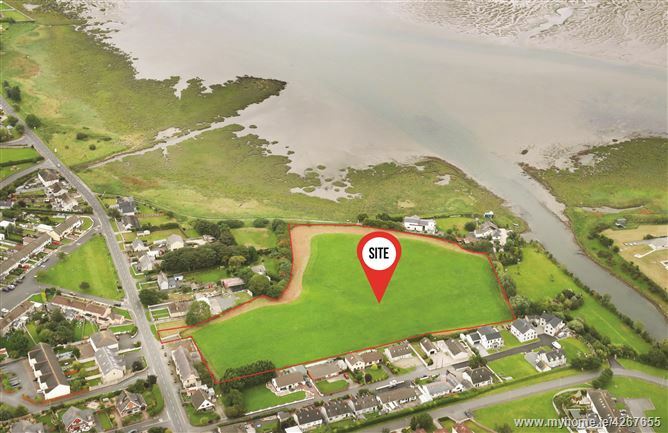 Lands are currently zoned for residential housing within the settlement development limits of Blackrock. One of the last remaining prime development sites in Blackrock. 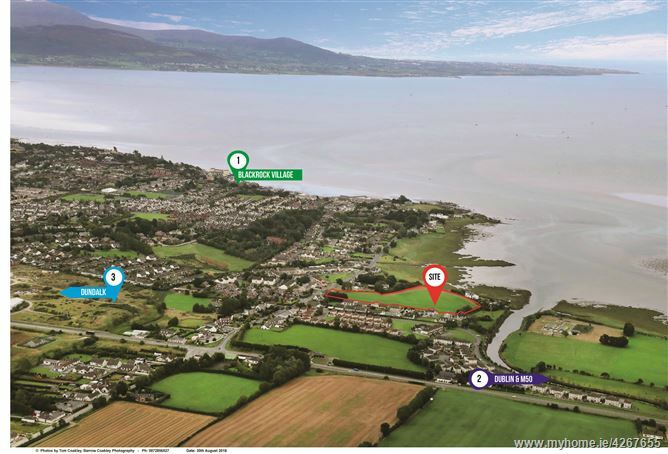 Conveniently located 1km from Blackrock village and all its amenities and 8km from Junction 15 off the M1 motorway. Subject property is located on Cockle Hill, south of Blackrock village. It is approximately located 1km from the village and all its amenities and only 8km from the M1 motorway. The surrounding area is predominately privately owned residences and matures residential developments. Strategically located near to the promenade in Blackrock village, Fairways Centre and new 102 bedroom hotel, Felda Fitness and Spa. The Crowne Plaza and Xerox Technology Park are also a short distance away. Blackrock is well serviced by bus daily services and Dundalk Train Station is only a short drive linking Dublin city and Belfast. The village has a large range of shops, restaurants, cafe's, churches and national schools (St. Oliver Plunkett NS, St. Francis NS and St. Furseys NS).